As I mentioned last week, my boys (who are 3 1/2 and almost 2) are now sharing a room. Though I’ve only shared a little glimpse with the vintage airplane mobile I made, I thought it was time to share a bit more of their room. And as an added bonus, I’m sharing my great wisdom (ha! yeah right… more like trial-and-error lessons) about having a creative mindset in your home. 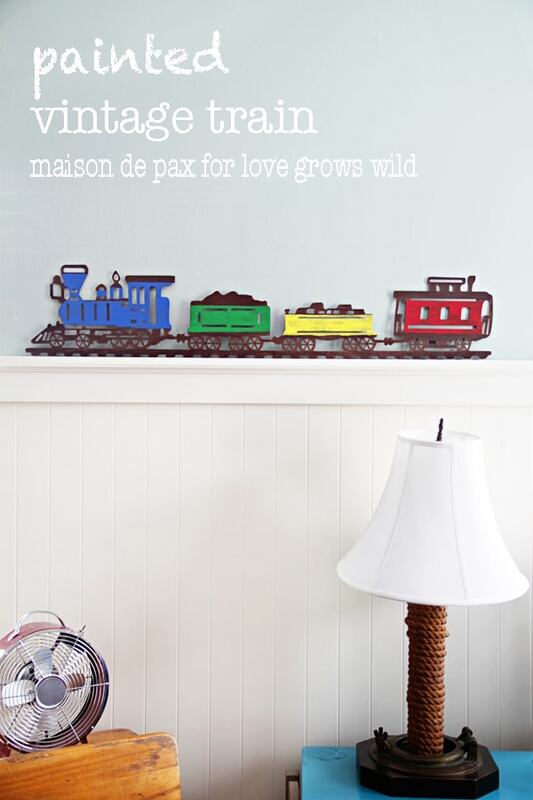 I’m sharing this tutorial at Love Grows Wild today, so drop in to get all the details on how you can make your own painted vintage train and aspire to a sense of creative freedom in your home! 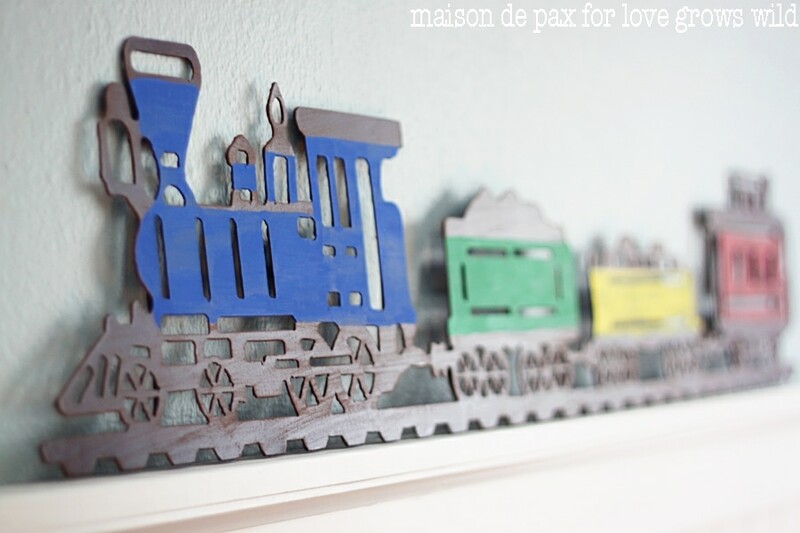 The train is adorable, and I can’t wait to see more of the room!